How to draw the bottom and right border of the grid when pixel scroll is enabled? By default, the grid will be scrolled pixel by pixel when VScrollPixel and HScrollPixel properties are enabled. So, the bottom border of the last row and right border of the last column will not be visible. 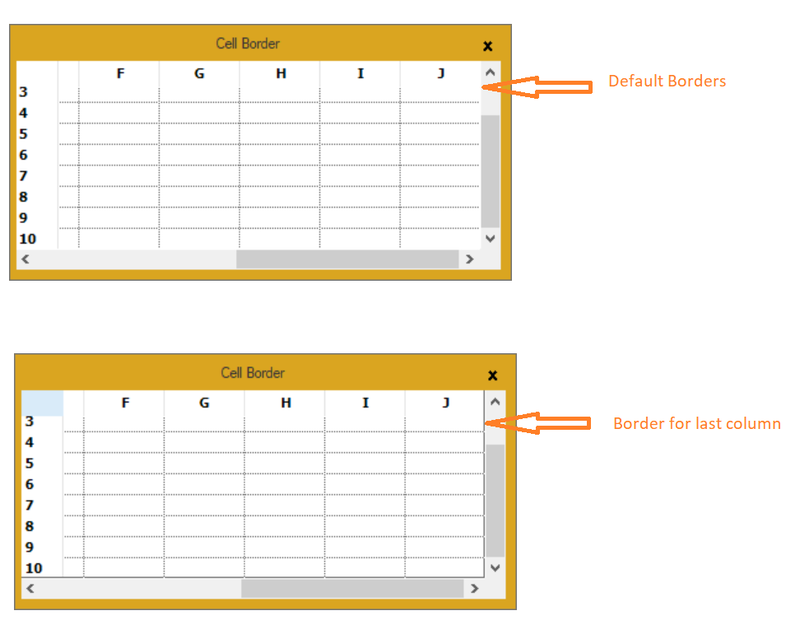 In order to display the bottom border of last row and right border of last column, CellDrawn event can be used.